The new president of Our Revolution on race, class, electoral strategy, and whether we’ll feel the Bern in 2020. 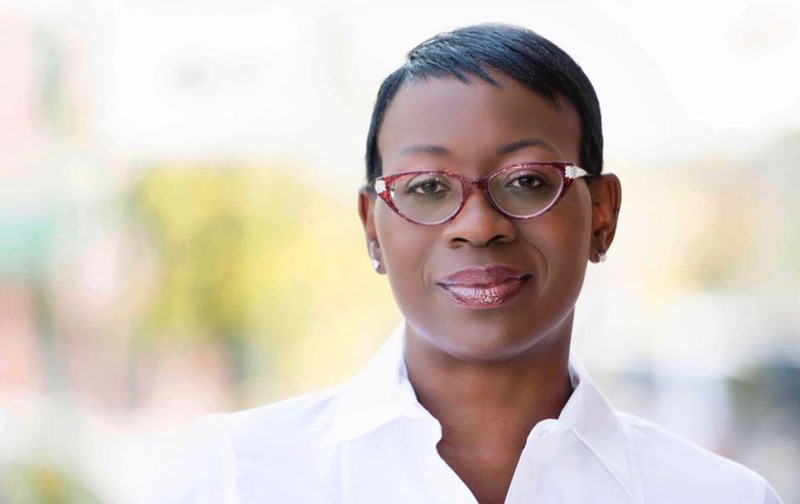 Nina Turner is a “proud homegirl” of Cleveland, Ohio, where she was a state senator from 2008 to 2014 and a candidate for secretary of state in 2014. Long viewed as a rising star inside the Democratic Party, Turner began 2015 affiliated with the Ready for Hillary Super PAC, only to throw her support behind Bernie Sanders later in the year. During the primary, Turner became one of the most prominent black voices to stump for Sanders, and she has remained an active Sanders ally, joining the board of Our Revolution. On Thursday, the organization announced that Turner would take over as president, replacing Jeff Weaver, who was Sanders’s campaign manager in 2016. The Nation spoke with Turner about her goals for the group. The interview has been edited for length and clarity. Collier Meyerson: You stood out as one of the first black politicians to throw your support behind Senator Bernie Sanders in the 2016 primary, and it ended up that black voters in the Midwest came out for Sanders more than in other parts of the country. But the Senator wasn’t able to pull the kind of support among black voters that he needed to win. And on top of that, the Bernie movement was criticized a lot for being largely white and also middle class. So, I’m wondering, what will you do in your leadership role to bring more POC into the fold. Nina Turner: I want to push back on that a little bit. I think some of that narrative during the campaign was exaggerated a bit. But if you do the visuals, yes, there were lots of, not just middle-class white people but young white people who were far from middle class. But we do know from the Harvard-Harris Poll that right now Senator Bernie Sanders is the most popular active politician in the United States of America, with broad support from African Americans, Latinos, and women. So it’s like night and day between when he was running and how those particular groups feel about him today. So I’m gonna continue the message that we have, the message that he had and continues to have. The message of Our Revolution is about the working poor and middle class in this country. I want to point to an example of the People’s Summit, if I may, where the senator spoke. There were about 4,500 people there, and 54 percent of the people there were of color. I use that as an example because the senator was the keynote speaker on Saturday night at that event. That is a big deal. That is something that maybe people would not have picked up on in the latter part of 2015 and all through the 2016 election cycle, but when we were in the theater there in Chicago, you saw a mosaic. You saw a sea, the sea of humanity, and you saw black and brown, and you saw white, and you saw people in-between. Do we agree on everything? Absolutely not. Some people might be in the movement because they care about the environment, some people about race justice, other people about income and wealth inequality, but the fact that we’re able to pull people together in that way to say that it is possible and that we have an opportunity and an obligation to demand more for, not just ourselves, but for generations unborn. CM: Right. And how is that going to work? Is there sort of a blueprint for how you’re going to go forward? Is there a plan of action? NT: We’re working on that. Now that I’m taking this on full time, those kinds of things are at top of my list. For example, building coalitions with Color of Change, which we have done some but we need to do in a deeper way. Building a strong collaboration with a group called Higher Heights for America, which is an organization that was created by two young African-American women out of New York, and their sole focus is to make sure that black women are elected from the local level all the way up to the federal level. So they’re on my list. I have certain groups on my list to go into a deeper dive, and a lot of those groups are groups of color. So you’re gonna see Our Revolution building deeper, stronger partnerships with groups that have a sole focus on people of color. And then strengthening relationships with groups we are already involved like MoveOn.org and Democracy for America. I am very cognizant of how people saw Senator Sanders’s campaign and how some people do believe that the progressive movement, when you say that, only means white. But I can tell you, as I travel this country, I meet everyday citizens of color everywhere who are proclaiming that they are progressives. And it’s not just millennials. I talk to boomers. CM: What are your thoughts are on how the working class is spoken about in media and politics? I imagine that you have thoughts on how the white working class has been separated out from the black working class in Ohio. NT: Well, across the country, yes, that definitely weighs on me because I traveled Ohio when I was running for secretary of state. Working class is working class, whether you’re black or white or Hispanic or Asian or Native American. If you’re poor, you’re poor. So the fact that some people want to try to drive a wedge between working-class whites and working-class blacks and Hispanics and other people of color, that is a classic as old as time, as the whole divide and conquer. What we seek to do, what I’ve always thought to do in my leadership, is to let people know that we have more in common than not. Everybody in the working class is important, whether you’re black or white and that’s what I want them to feel and know from Our Revolution. I don’t want our white working class sisters and brothers to feel as though their pain is not important because it is. But at the same time, I want my white sisters and brothers to understand that when we talk about income and wealth inequality, that disproportionately African Americans suffer a little more. That’s an honest conversation. CM: How will Our Revolution relate to the DNC, the DCCC, the DSCC, that kind of establishment that so many activists and politicians, including you, have frequently criticized? NT: I don’t think it is our job nor our obligation to fit in. It’s their job to fit in with us. But the overwhelming majority of registered voters in this country, I think it’s 53 percent or maybe 54 percent, identify as independent. Now, we know independents lean one way or the other but they identify as independent so that means that both political parties need to do some soul searching. I’m certainly willing to sit across the table with almost anybody if we gonna work towards the collective good, but it is not Our Revolution’s job to fit in with them. CM: And how will Our Revolution relate to progressives within government who didn’t back Bernie, like Sherrod Brown and Tammy Baldwin, if they go on to seek reelection? NT: If they want Our Revolution’s endorsement they will seek it like everybody else and so they gotta start with the local affiliates, and if the local affiliates say that this is the person that we want to back, then there it is. There it is. CM: And what about the Democratic Party at large. Do you see Our Revolution working to bring some unity to factions in the party? NT: No. Not really. I want people to be unified. I would say that the board of directors wants that too, but we’re here for a very specific purpose, and that is to help the everyday Americans in this country who feel left behind. That is what this movement is about, for people to know that the power is absolutely in their hands and we are providing the organizational structure to give the power back to the people. CM: Will the group be endorsing non-Democrats? NT: You know what, yes. We are open to it. And for me, I’ve also heard the senator say this lately too: Let’s put the political affiliation to the side. If there is a Republican or a Libertarian or Green Party person that believes in Medicare for all, then that’s our kind of person. If there’s somebody that believes that Citizens United needs to be overturned, that we need the 28th amendment to the Constitution that declares that money, corporate money, is not speech and that corporations should not have more speech than Mrs. Johnson down the street and Mr. Gonzalez around the corner, then that’s our kind of people. CM: What is the issue that will be most important and central to you under your leadership? Is it gonna be health care? Is it gonna be money in politics? Wall Street? What’s most concerning to you? NT: Health care is the most impending threat that we have now, other than the environment. But Medicare for all or universal health care is vitally important, and especially in light of what the Senate is pushing. CM: I know it’s your first day on the job, but, I’m wondering about Our Revolution as an electoral force. Our Revolution spent $170,000 in Montana to back then-congressional candidate Rob Quist and only $900 in Kansas. So, going forward, is there a plan in terms of raising and spending money? NT: Look, if anybody would even dare to critique the way we lost power for some Our Revolution progressives without then saying the same thing about how the establishment has lost almost 1,100 seats over a decade, then that’s some nerve. CM: Right. But, in terms of strategy. NT: Yeah. Absolutely. We got to. Listen, people want to win, and we’ve had some local wins. You win some, you lose some. You make investments but, yes. Absolutely. That is certainly part of our strategy and I’m gonna revisit it in a deeper way, in a way that I didn’t necessarily have the opportunity to do as a board member, but that I do have as a president, to continue to be as strategic as possible. But I’m proud of some of our wins. We had the progressive mayor win in Jackson, Chokwe Lumumba, and he ran on a solely progressive platform. And we got Khalid Kamau in Georgia, who won a City Council seat. CM: And how about your own political aspirations? Are you done with Ohio politics? Are you taking a break? Will you go national? NT: Well, I’m national now. Ohio is my home, always. I’m a homegirl. Ohio is my home. Ohio is my first love. In terms of my future in electoral office, we will see. Right now I am concentrating on the opportunity that I have to continue to build on the leadership of Jeff Weaver, the former president. CM: Are you going to continue as a contributor on CNN? NT: You know, I’m not sure yet. NT: Oh, my goodness. You gotta ask the senator, but I hope he does, you know? I can’t give you breaking news right now, but I personally hope that he does.